2017 Youth Casting will be selected from Tony Williams Ballet Co. Ensemble members. Ensemble class meets every Tuesday at various times depending on ages and is a tuition-based class from September to June each year. Additional parts, especially tap and hip hop may be selected from outside the ensemble group. 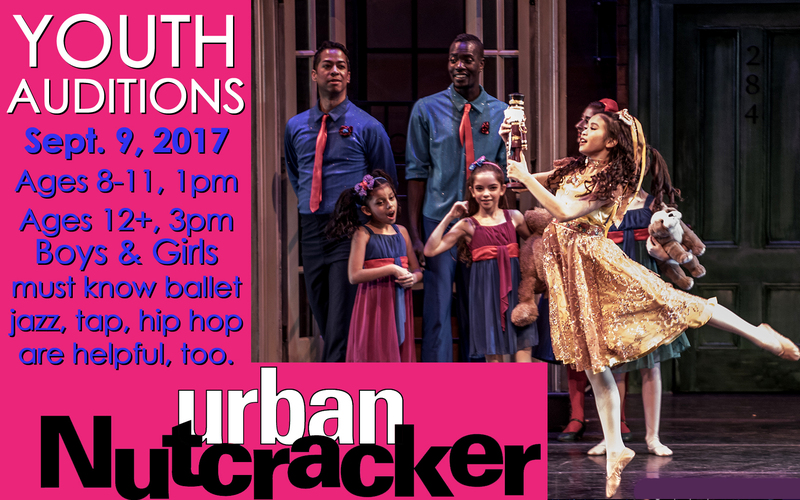 You should audition for Ensembles in August as well as the Urban Nutcracker Youth Auditions on 9/9/17 at 1pm or 3pm. You will stay up to two hours. You should wear solid color, professional ballet attire and all hair must be neatly placed back. $25.00 audition fee. If you turn 8 before 12/1/17 you are eligible to audition. 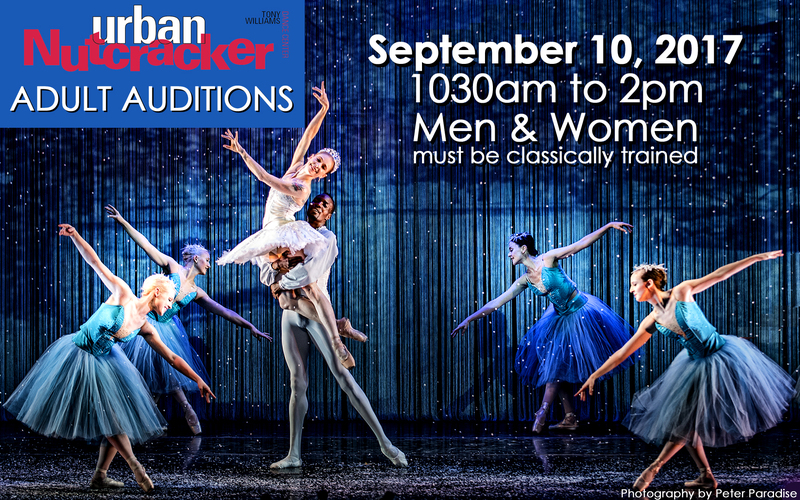 Noon to 1pm Additional choreography variations may be scene using our Urban Nutcracker choreography. You will not need to prepare anything unless you are auditioning for tap or hip hop. Some callbacks may happen as late as 2pm.